After the war the jobs I had been doing were no longer open to me. I had been in the Air Force and helped run the family farm. But my younger brother had married and I was no longer needed there. Occupational Therapy was one of the courses offered during the post-war reconstruction. There was not much known about it then. You could only do it in Sydney. That suited me; I wanted to free myself and get away. This was in 1948. I knew immediately it was for me. It was such a new thing and I was a pioneering sort of person. It was in my blood. My grandfather was one of the first to farm near Bruce Rock when the Wheatbelt was opened up in 1910. The director of the school was an American lady, Marge Fish. She inspired me to get things going over here. There was one other girl who trained a year before me. 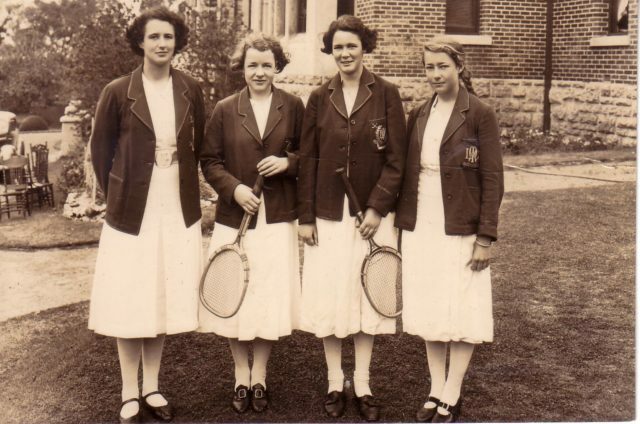 We were the only OTs in Perth in 1950 and it was up to us. I was a good therapist. I loved it. I was in the right job at the right time. I could help people help themselves. I worked at Princess Margaret Hospital and the Crippled Children's Society and later became head of OT at Royal Perth Hospital for 23 years. I had the ability to enthuse people the way Marge Fish enthused me. A few of us were able to set up an association, get registration of occupational therapists and start a school in 1961. In 1978 I founded the Independent Living Centre. I retired in 1980 and, in 1981, was awarded the Member of the Order of Australia (AM) for services to OT and disabled people. 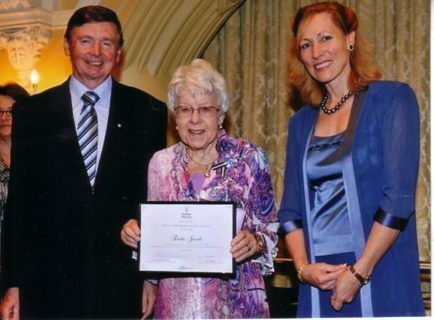 In 2011 a lecture theatre at Curtin University was named after me and the following year I was inducted into the WA Women's Hall of Fame. In 2002 I married Hal Finkelstein. He sat behind me in primary school. Whenever we met there was always that spark and being together now is just gorgeous - the icing on the cake. On MLC: MLC was quite tough for a farm girl from near Bruce Rock. Sport was my outlet. My fondest and lasting memory is probably Gertrude Walton (Principal). She was a woman of stature and I respected her.